Ukrainian singer Svetlana Loboda gave birth to her second daughter. Loboda carefully hid her baby bump and confirmed the rumor in the last month of her pregnancy. The singer still keeps the father's name of the second child in secret. We offer to know whom the public and the media call the possible father of the youngest daughter of the Ukrainian singer. "Love accidentally rises when you do not expect it". However, at that time very few people paid attention to this, and many considered it only as a friendly gesture. According to the source, the Ukrainian pop diva fascinated the rocker at music festival. 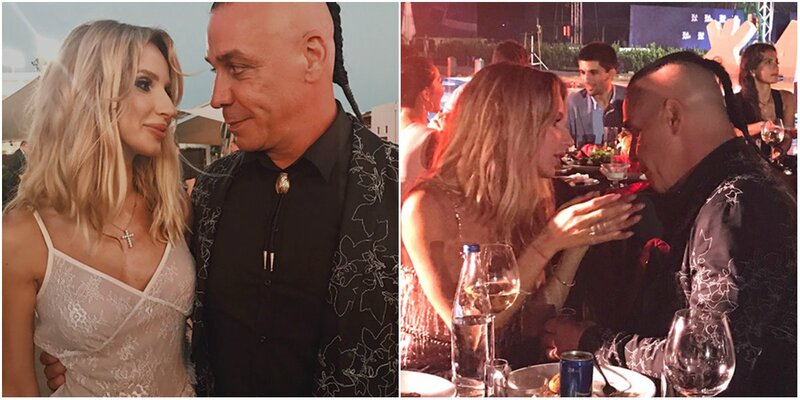 Loboda and Lindeman spent the whole evening together and did not even hide the mutual interest, hugged and kissed. After the efstival, it is claimed, celebrities fcontinued to meet secretly. Another publication only confirmed the assumption of admirers that Till and Svetlana are not just friends, but they are dating. So, on the day of his birth, on January 4, the singer left a touching congratulation. "Dear Till, you are one of the most talented and beautiful people that I have ever met, I'm so happy that we happened to meet this year and became friends." Be happy and feel love every minute of this life! See you soon! Millions of kisses, "- wrote Loboda. In February 2018, Loboda confessed that she missed a German musician, having published an archive video with him on the social network. In April, the artist fueled public interest about relations with Till, visiting one of the largest and most famous music festivals in the world - Coachella, which is held in Los Angeles, in a shirt with the cover of the album of the group Rammstein. 57-year old musician is already twice a father, he already has two daughters from different marriages. However, shortly before Loboda's giving birth, information appeared on the network that Lindemann had been chosen by the artist's manager to cover the real father - Max Barskih, who was not indifferent to her. The actress published a video, in which Barskih was seen kissing her right on the stage. The media has long been writing about the singer's strong love for Loboda. In 2008, he even cut his wrists due to unrequited love.